Trogir represents one of the oldest cities on the Adriatic coast in Croatia, with the main 'centre' of Trogir being a small island located between the hills and the coast of the island of Ciovo. 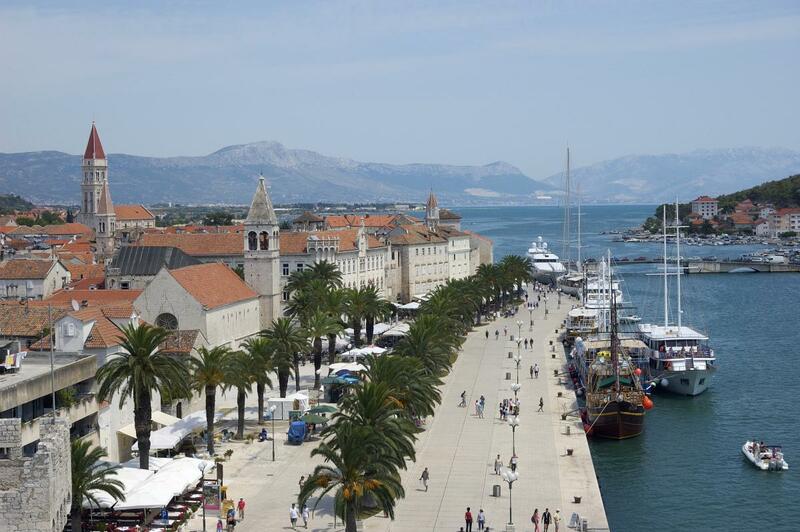 The entire Trogir Riviera is made up of 20 islands, islets, small counties and little villages, making this area a lovely destination to visit aboard a luxury yacht. Its rich history was built upon the old Greek, Roman and Venetian culture, offering plenty of churches, towers, fortresses and other monuments to visit. Torgir is also on the list of UNESCO world heritages sites. Also located on the Trogir Riviera is the small and quaint little fishing town of Vinisce. The first mention of Vinisce dates back to 1272, although it is believed that it was inhabited much earlier. There are numerous beautiful churches to visit with the church of the Blessed Virgin Mary being the most important, as well as the church of St Antun Padovanski from the 18th century. Several beautiful bays can be found around Vinisce with attractive pebble and sand beaches. Yacht charterers will find a good selection of lovely restaurants, cafes, bars as well as souvenir shops. Vinisce is a great location for surfing, swimming, sunbathing, snorkelling or simply relaxing enjoying its warm Mediterranean atmosphere.